We received an interesting email today from unlocked-mobiles.com who have informed me that there will in fact be two variants of the Nokia Lumia 820 on sale in the UK. Most retailers will be selling the 3G version but the stock coming into unlocked-mobiles.com are 4G enabled. So what does this mean for us consumers? Currently if you are looking to jump on the UK 4G LTE bandwagon you only have one carrier option at the moment and that is with EE. All the other UK carriers will have 4G in the near future but many of us smartphone geeks want the fastest connection as soon as possible. We have tested out the EE 4G speeds as you have seen and getting the new service in the UK is like a breath of fresh air, but it also comes at a cost. So what if you buy the Nokia Lumia 820 SIM free and wait for the carrier of your choice to roll out their own LTE service. One clear benefit here is that you will not be tied to a expensive 24 month contract and you have the choice to go either SIM free or PAYG. And with the Lumia 820 only costing £394.98 Inc VAT this could well be the best value option if you are either joining the Windows Phone gang or just looking for an upgrade. Worth considering, don't you think? 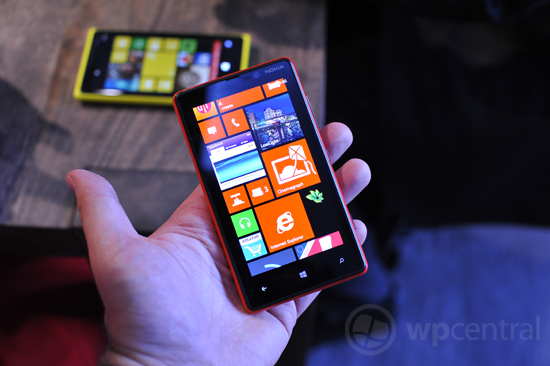 The Nokia Lumia 820 will be in stock on 12th November. Pre-order here if you're tempted. I kind of am.